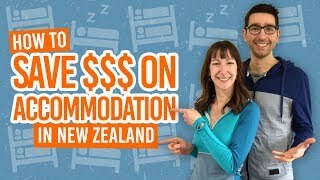 Explore the islands in New Zealand! New Zealand is known for its two mainland islands, the North Island and the South Island. However, did you know there are hundreds more islands off the coast of New Zealand? It might just be for this reason why getting out on the water is such a huge part of Kiwi life. There’s so much to explore in New Zealand’s waters. 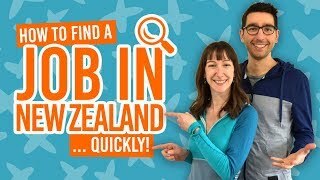 So what island in New Zealand do you need to check out?! While some islands have a little population of people of their own, other islands are more likely to be the home of New Zealand’s native wildlife. If seeing the fascinating birdlife is part of your New Zealand bucket list, then exploring these islands is where you will get your best chance. Even if it’s not on your bucket list, you don’t know until you have tried, and we suggest you try! The islands we have listed below are all reachable by boats and flights operating on the mainland. And once you have explored every island of New Zealand, take a trip to one of the nearby tropical islands in the South Pacific. This huge island off the Kapiti Coast is a wildlife hot spot. The emblematic kaka parrot is playful and will not hesitate to steal your lunch, while the rare spotted kiwi can be seen at night in the wild if you know where to look. Organise your trip there by taking a ferry from Paraparaumu or with Kapiti Eco or Kapiti Nature Tours. “New Zealand’s third island”, as Stewart Island is often referred to, is an underrated spot for backpackers in New Zealand. The island is 80% national park and home to one of the Great Walks, the Rakiura Track. Stewart Island is one of the best places in the country to spot a famous kiwi bird in the wild. Location: Access is via ferry from Bluff, Southland, South Island. The huge active marine volcano is a iconic sight in New Zealand. Visitors are taken by helicopter or boat to explore the crater, the remains of its sulfur factory, and its prehistoric history. It is also a popular dive location too. The island is definitely a must-do when visiting or working in Whakatane or Bay of Plenty area. Location: Off the coast of Whakatane, Bay of Plenty, North Island. One of the jewels of the Auckland Huraki Gulf, Great Barrier Island features golden sand beaches, natural hot pools, rugged peaks, thick forest and a variety of wildlife. The island has become more popular each year amongst travellers, especially because you can see most of the island’s highlights on the multi-day Aotea Track. This island, just off the coast of Stewart Island, shows what is possible without predators. The result is an abundance of native New Zealand species no longer hunted by introduced predators. See the likes of weka, kaka, kakariki, tui, bellbirds, wood pigeons, fantail, saddleback, rifleman, Stewart Island robin and more! There may be even a chance to glimpse the Stewart Island brown kiwi. Location: Access via water taxi from Halfmoon Bay or Golden Bay, Stewart Island. Alternatively, transport and guided walks are available. Located on the Tutukaka coast, the Poor Knights Islands are world renowned for its diving options. The most popular one is a shipwreck dive where you can explore two sunk navy ships, the Waikato and the Tui. When diving to and through the wrecks you will be able to explore the guns, the control areas, the engine room and much more. Location: Off the Tutukaka Coast, Northland, North Island. Access is by boat from many different ports in Northland and the Bay of Islands, including Leigh, Whangarei and Tutukaka. Book your dive from Tutukaka here. Lodged in the quiet Marborough Sounds, D’Urville Island (or Rangitoto ki te Tonga in Maori) is a slice of heaven. Featuring campsites, resorts, hiking trails, mountain biking tracks and fishing opportunities, it is the best place to unwind and reflect of your New Zealand gap year. Look for WWOOFing opportunities on the island to stay at low cost. Learn more about visiting D’Urville Island in our French Pass and D’Urville Island – Guide for Backpackers. Location: Marlborough Sounds, off the north coast of the South Island. Auckland’s most popular volcano is an island of its own. Lava fields, lava caves, a crater, wildlife and stunning 360-degree views of the Hauraki Gulf can all be experienced on a day hike. Catch the ferry from Auckland Central early morning to save money, pack some food and water, then enjoy this volcanic island. You will not regret it! Check out our full guide to Rangitoto Island. Location: Access is a 25-minute ferry from downtown Auckland, North Island. Alternatively, guided kayaking trips to Rangitoto Island are available. We challenge you to make it this far off the beaten track! Located about 800km from New Zealand’s main islands, the Chatham Islands are know as New Zealand’s fourth populated island. The islands are home to only 600 New Zealanders but compensate with a huge wildlife population of seals, dolphins and many bird species. Also check out its famous basalt columns and tree carvings. Location: 800km east of New Zealand between Wellington, North Island, and Christchurch, South Island. The island is the largest of the 144 islands that make up the Bay of Islands. As it is one of the most popular islands too, it features three equipped camping grounds so you can extend your stay in paradise. Three things to do here: kayak on crystal clear waters, swim in Otehei Bay, and walk the archaeological track. Location: Access is via water taxi at Paihia and Russell, Bay of Islands, North Island. Alternatively, these kayaking trips and day cruises stop by Urupukapuka Island.